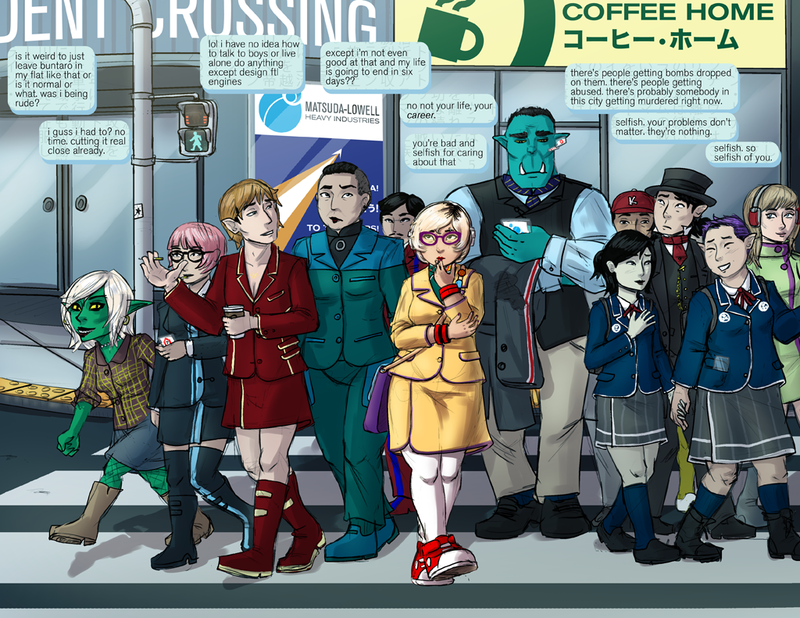 Oh, there’s an assortment of green and blue skinned folks I’d sorely missed. First time I saw one on Heliothaumic they were all black and white, tho’. Must have been some years. Great scene; just gave me a pleasant flashback to reading midlands when I was like 12.